Twenty-eight people were charred and 25 injured when a mystery fire engulfed their S11 compartment of the New Delhi-Chennai Tamil Nadu Express near Nellore early on Monday. Many of the victims were Chennai-based software engineers who had boarded the train at its two halts in AP — Vijayawada and Warangal. Sources said most of the victims were sleeping and lost consciousness as thick smoke filled the compart ment, which was shuttered due to rains outside. 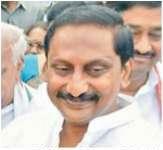 Chief Minister N. Kiran Kumar Reddy said on Sunday that the government would go ahead with the proposed thermal plants at Srikakulam district at any cost. Speaking to mediapersons here, he said that as industrialisation was unavoidable, the proposed coal-based thermal power plants needed to come up in the district and other places in the state as well. Stating that development was possible only through rapid industrialisation, the CM said that new industries in the power sector were always welcome in Andhra Pradesh. The five power projects that were proposed for Srikakulam district have been facing problems since their announcement in 2007. London Mayor Boris Johnson insisted on Sunday the city was ready to host the 2012 Olympics despite a national plunge into nervous self-depression before the excitement begins. International Olympic Committee president Jacques Rogge is in London and "he thinks that our city is as well-prepared as any city has ever been in the history of the Games," Johnson told BBC television. "So far the traffic system and transport networks generally are holding up well." 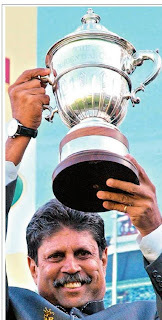 Former India captain Kapil Dev and the Indian cricket board buried the hatchet following their differences over the cricketer joining rebel ICL (Indian Cricket League) and welcomed him back with immediate effect disbursing his one-time benefit payment of `1.5 crore. The BCCI issued a media release, moments after the 1983 World Cup winning met president N. Srinivasan at the board’s headquarters on Wednesday. “The BCCI has received a letter from Mr. Kapil Dev, former India captain. Mr. Kapil Dev has informed the Board that he has resigned from the Essel Sports Private Limited/ICL. 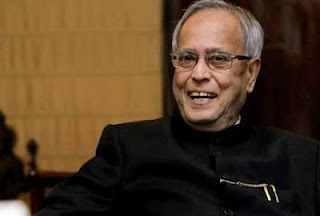 He has also stated in the letter that he has always supported the BCCI, and will continue to do so in the future. The BCCI acknowledges Mr Kapil Dev’s immense contribution to Indian cricket and looks forward to a fruitful association with him in the years to come,” Srinivasan was quoted as saying by the release. YSR Congress honorary president Y.S. Vijayalakshmi’s deeksha for weavers was held amid high tension, violence and police lathicharge at Sircilla in Karimnagar district on Monday. TRS activists tried to block the leader’s convoy all along the route from Hyderabad to Sircilla. Despite deployment of a huge police force, stones, eggs and slippers were thrown by T-activists on the convoy along the route and at the deeksha venue at Ambedkar Chowk in Sircilla. 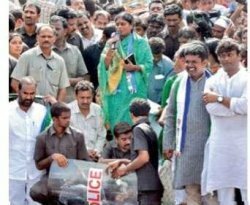 The police had a tough time clearing the way for Ms Vijayalakshmi’s convoy and had to fight pitched battles with T-activists in Hyderabad, Ranga Reddy, Medak and Karimnagar districts. Many vehicles were damaged in the process. Scores of T-activists including TRS MLAs K.T. Rama Rao, T. Harish Rao and other party leaders were arrested at different places. At Siddipet, the police had to fire tear gas shells to disperse the mob. Ms Vijayalakshmi, who undertook the deeksha for about two hours in the afternoon, however, did not comment on her party’s stand on the Telangana issue, which has been the main demand of the TRS.